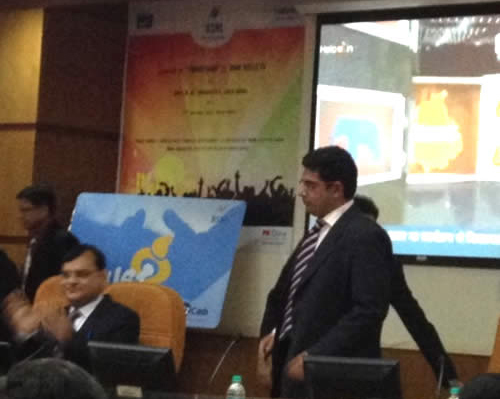 Shri R K Upadhyay, Honorable CMD, BSNL inaugurated BSNL Hello TV for the data card users of BSNL and customers of ITZ Cash Card across the country at BSNL Corporate Office on 17 Jan 2012. Speaking on the occasion, Shri. Upadhyay elaborated on the benefits of this service to the customers, This service provides entertainment to BSNL users while they are on move on laptop, tablets and PC. BSNL Hello TV for Datacard and PC users complements BSNL’s Live TV offering on Wap portal via BSNLlive and over a video call through 51010 –Dial a Video service. BSNL is bringing this ‘state-of-art’ service in collaboration with M/s PK Online. Mr. Viraj Malik, CEO, PK Online expressed hope that with videos being the biggest contributor for increasing data consumption across operators, BSNL Hello TV will go a long way in boosting adoption and uptake of data cards. BSNL Hello TV is the one stop entertainment destination for data card users. Users can watch their Live TV Channels, movies and videos from the best of Indian entertainment. Over 50 TV Channels to choose from, including big players like Star, B4U, AajTak, UTV, TV9, Times and regional stalwarts like Raj, PTC, Sangeet Bangla and more. Blockbuster movies of Superstars from various languages. Videos ranging from Movie Trailers, Hot Gossip, Devotional, Fashion, Animation and Music videos on display from various languages like Hindi, Tamil, Telugu, Kannada, Malayalam and Punjabi. Unique thing about the service is that there it’s a portal with simple and very usable interface, BSNL users can buy the service using their prepaid or postpaid account or through the BSNL Trust card available through the BSNL retail network. Once subscribed, user can watch this from any device with a connectivity of 256 KBPS.